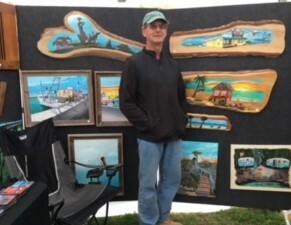 Island Art Gallery by owner Bruce Reigle is a traveling gallery, traveling the country. I am currently on the Coastal Bend of S. Texas. My residence is in Florida. I am an artist, wood worker, printer, and photographer. Phone no. is 321-482-5201. 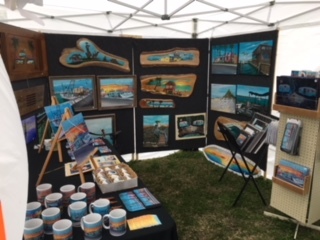 Website is island-art-gallery.myshopify.com.